Although Yoga has been around for more than 5,000 years, it has become increasingly popular during the past decade. Aside from the health be..
A variety of techniques will inspire painters of all levels to create their own "one of a kind" scarf. The scarves can be worn or displayed .. The Edison and Ford Winter Estates homes, gardens, laboratory, and museum will be open regular hours (9:00 a.m. to 5:30 p.m.) on Good Friday..
Sundays through May 5 1:00-3:00 p.m.
Grades 4 - 8 Have you ever wondered how to build a robot or design your own invention? Learn the skills of the 21st century in this exciti.. 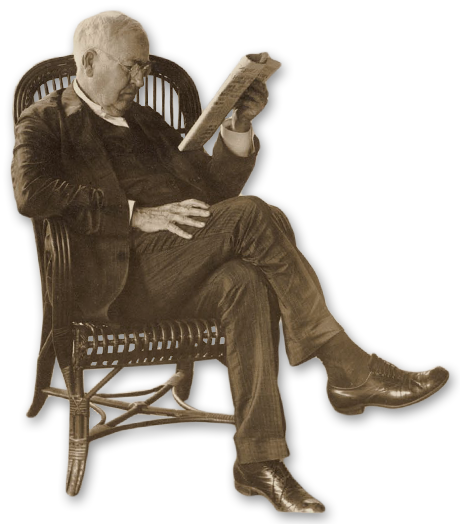 Ask the Curator is a weekly presentation, covering topics from Mina Edison to Ford cars. Upcoming programs include: April 24: How d..
Our South Florida weather provides a wonderful opportunity to grow many different kinds of fruit. We will begin with a review of the c..
Join us to celebrate the opening of our annual community art installation, Art in the Gardens! Refreshments will be provided. Art i..
Arbor Day was started by J. Sterling Morton in Nebraska as a way to get more trees planted in the Midwest prairie states. At Edison Ford, tr..
Mina Edison was a gracious hostess and concerned with the well being of children and the community. Following in her tradition, this two-h..